I was just in Japan for two weeks. I went to conduct some shopper research for a client and while there, had a vacation with my husband and our friends as well. 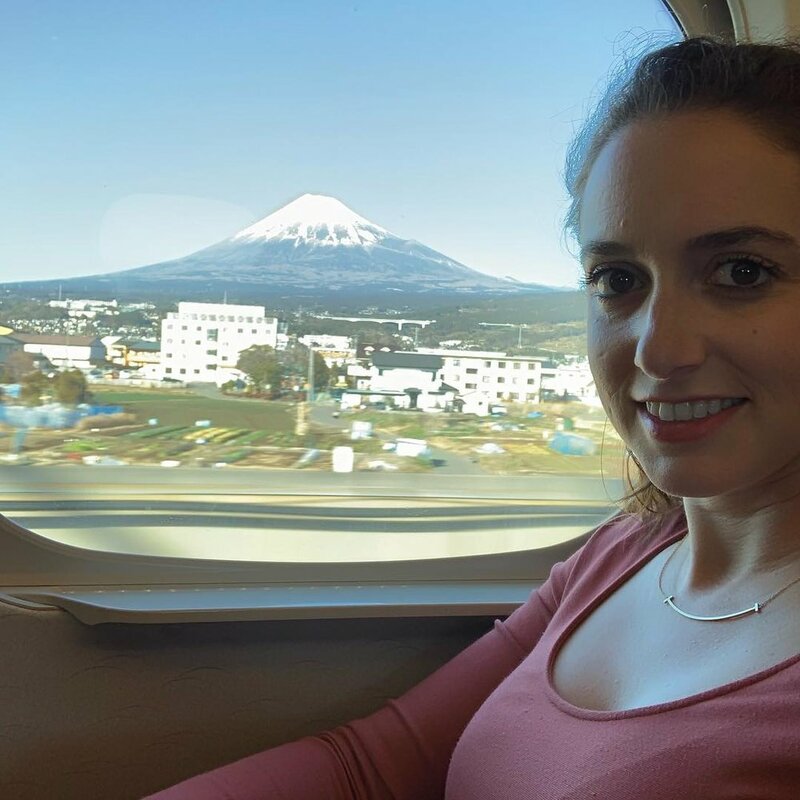 I traveled all over Tokyo, took a bullet train over to Kyoto, drove a car to Mount Fuji and then back to Tokyo. 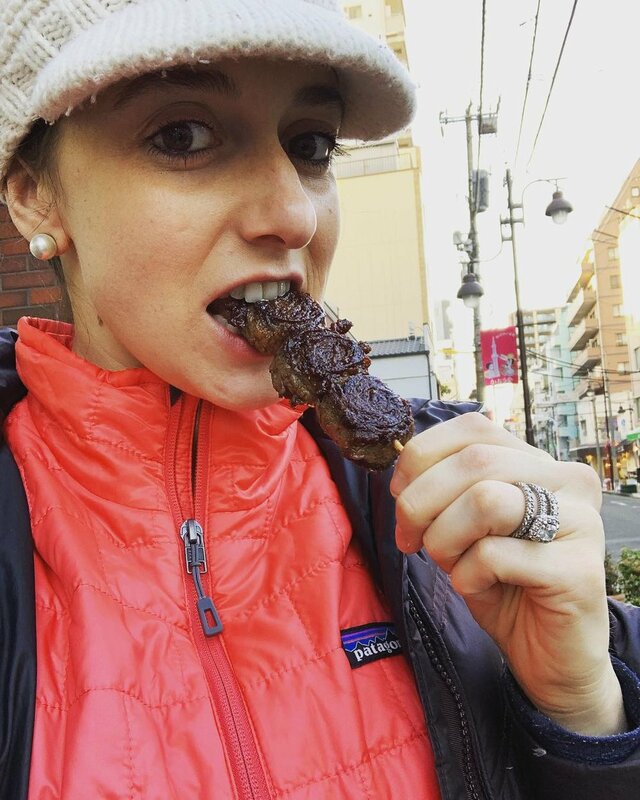 I loved getting to know Japan (and will definitely be back,) had some amazing foodie experiences and learned a lot about Japan’s grocery retail landscape and Japanese shoppers. Have a look at my photos below to see some of the many observations I made while working and traveling around in Japan. Firstly, Japan makes a wide variety of specialty foods, some of which looks like good candidates to make it in America. More on that in this separate blog post. Much like the American market, you’ll find a wide variety of retail outlets ranging from convenience stores (Lawson’s or Family Mart are everywhere,) conventional supermarket chains, independent specialty shops, specialty food chains, and high end food halls and shops inside luxury department stores. This was definitely my favorite specialty food store, Akomeya Tokyo TOKYO公式オンラインショップのページです。akomeya.jp. Gorgeous specialty food section inside the high end department store, Kyoto BAL, www.bal-bldg.com/kyoto. In the cities people are making multiple trips per week to the grocery store. Most pop in by foot or on bicycle. Riding bicycles is huge here. You’ll see moms on their bikes carrying around two children – one in the front and one in the back, leaving very little space to tote around a lot of groceries. Coffee culture is alive and well here. So glad about that as I’m no fun to be around unless I’m properly caffeinated in the morning. Found the cutest Aussie cafe, Bondi Cafe, across from Yoyogi Park in Tokyo. Check them out on your next visit to Tokyo: bondicafe.net/bondi-cafe-yoyogi-beach-park. Specialty bread is also a big deal here. Definitely ate the most expensive bread I’ve ever had and yes it was worth it! Seriously though, how pretty is this bread store? It looks like a jewelry shop. Not limited to just the specialty, expensive types of bread, regular bread is popular too. On several occasions I saw people wrapped around a city block in line for fresh bread at a bakery. With a specialty product like the one you see below, this is more for a gifting occasion instead of a regular purchase, so I’m told by shoppers. Apparently everyone leaves here very happy as evidenced by these folks. Japanese love their beef. Everyone’s heard of Japan’s famous Wagyu and Kobe beef, both of which are delicious. I did some research on the meat category while there; look for another upcoming blog post soon just about the meat category in Japan. Japanese shoppers enjoy a wide variety of meat cuts. Go to a butchery or open up a restaurant menu and you’ll see some cuts you may not be familiar with -- like beef tongue. Nice to see people willing to accept those “minority cuts of meat” so the entire carcass is used and nothing goes to waste. Beef tongue — looks nice, right? Presentation is taken very seriously here. In the higher end specialty shops you’ll see beautiful merchandising. Staff inside grocery stores seem to take great pride in their work (that’s a nice change!) and obsess over the details ensuring products look perfect on the shelves. While checking in on some of my clients products there, I was very happy to find them in perfect order. And if you’re like me, and are attracted to pretty, minimal packaging, you’ll find a lot of products that catch your eye. I took a close look at honey on supermarket shelves around Japan. I’ll have more on that for you in an upcoming blog post, so stay tuned here. I observed some organic products, but not a lot. Most of the shoppers I conducted shop-alongs with were not having organic or chemical-free top of mind. That said, what was top of mind is food cleanliness, safety and country of origin. The USA, France and Australia have done a good job of promoting products from their countries here as the Japanese have an affinity for products coming from these countries. I see Outback Steakhouse has also made it to Japan. Japanese enjoy a taste of the Outback as well. I observed some unique flavors as ingredients in products like soft drinks, chocolates — basically anything had a version that was matcha green tea, wasabi, peach or cherry blossom/sakura flavor. I know it’s not organic, but I do enjoy a Coca-Cola every once in a while. Tried one of these and it was super sweet, but delicious. I could not finish it all, but definitely worth trying. On the go eating is not common here as it’s considered impolite to eat while walking around or otherwise on the go. If you buy some takeaway food, it’s meant to be eaten near the vendor before going about your business. Despite that, supermarket shelves have a wide variety of interesting snack food. Spotted some familiar products from back in the USA on supermarket shelves in Japan. Does your brand want to launch into the Japanese market? 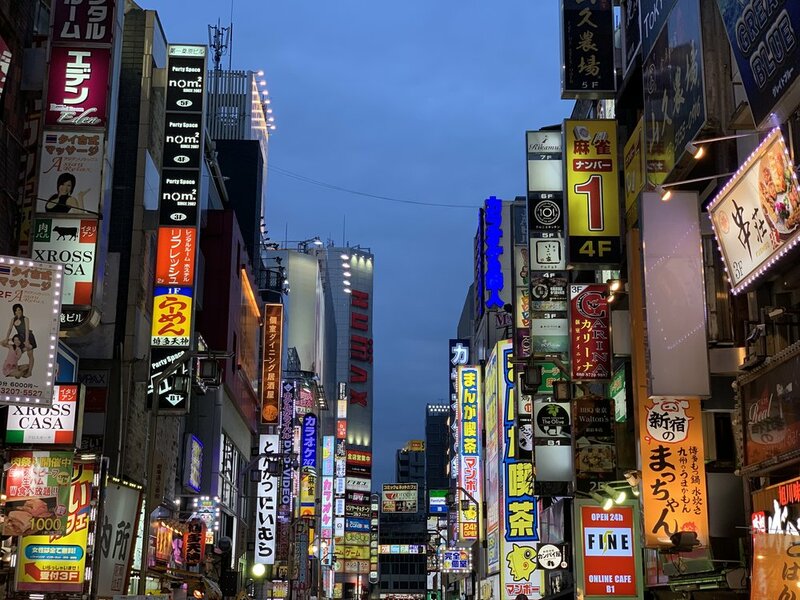 While in Japan, we took a deep dive into the grocery retail landscape and shopped-along with Japanese consumers, delivering valuable insights, feedback and recommendations for our client who we conducted research for. Green Purse PR conducts shopper research all over the world and looks forward to doing more shopper research in Japan. Contact us if you’re interested in learning more about the Japanese market and consumers. Or, are you from a Japanese company that wants to launch into the USA? Good news — we’ll be back in Tokyo later this year and we’ll be bringing fresh insights from the American consumer market with us. I’m currently planning one of Green Purse PR’s Go To Market USA Workshops. These workshops are for exporters and focus on understanding the American consumer market to ensure export success. Each program is customized, but typically includes a half day or full day workshop covering topics such as: the American retail landscape, shopper insights, best practices in consumer marketing, competitive intelligence, resources and a brainstorming and Q&A session. Click here for more details on the Go To Market USA Workshops and contact us for details on the upcoming program happening later in 2019 in Tokyo. MOM's Organic Market is an independent, family owned, natural foods retailer with currently 19 stores in the Washington, DC area, as well as Maryland, Virginia, Pennsylvania and New Jersey. The newly opened store I visited is located at 10 Upper Rock Cir, Rockville, Maryland 20850. The address is technically, Rockville, but it's right on the cusp of Gaithersburg. If you've not been to a MOM's store before, you're in for a visual treat if you scroll through my photos below. I've shopped at other MOM's locations in DC for many years and love it. With an emphasis on organic products, along with their mission to protect and restore the environment, MOM's curates exceptional products and delights shoppers with unique offerings they might not find anywhere else. This is a store you can truly feel good about shopping with. This new Gaithersburg store has lots of wide open spaces, given that it's in the suburbs. It's the nicest MOM's store I've seen yet! One thing I immediately noticed was the focus on bees throughout the store. I love all things honey, bees, bees wax, and of course saving the bees, plus I've been doing a lot of shopper research on the honey category recently. See for yourself in my photos here. As I've been doing a lot of shopper research in the honey category lately, of course I checked out the honey aisle. This store has a wide selection of honey. I'm noticing a theme throughout the store -- very bee-friendly. This plastic wrap alternative, Bee Wrap, made from bees wax, is nice. Excited to see the Global Animal Partnership label here, on Bilinski's chicken sausage. That's the label I look for to buy higher welfare meats. La Quercia also touting the GAP label. An outstanding body care section! So many different brands and products from what I usually see in other retailers. Spotted the Jack N' Jill brand from Australia; this is the kind my kids use. I bought some of these sticks and the stick holder for my backyard. Seems to be working well! Found some wool dryer balls, also from New Zealand. Love the branding; I bought these too - love to support the New Zealand companies. I've not seen beekeeper supplies in a grocery store before; very cool. A look inside my shopping basket. I'm not kidding about the emphasis on bees. Super cute grocery bag! Stayed tuned here on our blog, #GetInHerCart, for more grocery store visits from our travels around the world as we speak at various conferences and conduct shopper research in different markets. If you're keen to learn more about the grocery retail landscape in America, consider working with us on a workshop. Our workshop, Making it in America: How to Enter & Succeed in the Diverse Food Retail Marketplace, is one of the sessions we teach most and is very popular amongst companies from outside the USA. Contact me, Lisa Mabe, for more details about our workshops and other retail related services we offer. We teach workshops, conduct research and plan or execute public relations programs for companies all over the world. I look forward to hearing from you. Contact us here. Next time you're in the grocery store, take a peak into your fellow shoppers' grocery carts. It's fun to see what ends up in shoppers' carts, especially if it is your brand, or in my case, a client's product. By the way, whenever I do spot a client's product in someone's shopping cart, I almost always strike up a quick conversation with them. I usually carry coupons from my clients and offer them a few as a way to thank them for their loyalty. It's a nice touch point that often goes a very long way. My perspective is you don't really know a shopper until you've shopped with them. That’s one of the premises that makes Green Purse PR unique and why shopper research is fundamental to all the public relations and social communications work we do. Being successful in your consumer marketing starts with understanding the consumer – identifying how they learn about products, how your products are likely to fit into their lifestyle and how to better serve their needs in order to create and maintain a connection (or relationship, if you’re lucky) with those shoppers. What can you tell about the shopper from this look inside her shopping cart? Maybe she is gathering ingredients to make a special meal. Perhaps it's for a weekend celebration, a dinner party, or maybe it's a work-week meal for her family. Whatever the case, it looks like she has kids, or a lot of cats, because that's a lot of whole, organic milk in there. I frequently conduct shopper research, shop-alongs, with women all around the world. Each time I shop with someone, I take into consideration every single product that gets in her cart. Taking into account what products #GetInHerCart, is one of the ways our shop-along research helps us uncover insights that later help us intelligently build successful consumer PR programs. What products catch her eyes, and what does not. What other products (besides yours) she is buying and how those may even be used together. Why she buys particular products over others. What third party certifications, verifications or ratings she may be looking for. How she connects, or does not connect, with brands and retailers. How your product fits into her lifestyle. How best to build and foster a relationship with consumers like her. Do you think it sounds smart to plan and implement a consumer marketing program or campaign without first bothering to do a little research on the very people who are hopefully going to buy your product? No; that's not smart at all, but that's exactly what a lot of companies do. Be the savvy company that DOES invest in understanding its target shoppers, and gets things right the first time. When you do, the insights you learn and connections you start, will deliver value both in the short and for a long time to come. Want Green Purse PR to shop with your consumers and garner insights to help you better connect with health-conscious women? Have a look behind-the-scenes of our recent Green Purse PR photo shoot showing a millennial aged grocery shopper throughout her shopping journey. Grocery retailers are starting to experiment with the 'meal kit' concept. Here's a new display we spotted at Whole Foods Market. I recently returned from a business trip to Sydney, Australia, where I used to be based. I was in town to speak at the Naturally Good Expo and Naturally Good Business Summit. While there I had a look at some of Sydney's grocery retail scene, including some of the stores I used to shop at when I lived in Sydney. One of the stores I visited was Woolworths in Crows Nest. This 'Woolies' store just reopened in April 2016 after two years of major renovation. I shopped at this Woolies during my time in Sydney; last time I was here it was still being demolished. Now, $52 million later in redevelopment, it's a completely different store. Previously it was a very tired, soulless, one-level store -- the kind that's so unpleasant, you can hardly wait to get out of it. Now it's shiny, new and includes multiple-levels. Below are some photos I took of Woolworths located at 10 Falcon St, Crows Nest NSW 2065, Australia. Such a beautiful structure on the outside. Crows Nest is an adorable community, but it could use some updating. The new Woolworths helps modernise the community. Main level includes lots of grab & go options. Spotted several products featuring the Australian Certified Organic bud, Australia's most recognised organic certification amongst Australian consumers. This Thomas Dux corner on the first floor made me sad. I'm glad Woolworths still managed to let the brand live on in some form, but I'm disappointed that the stand alone stores no longer exist. Thomas Dux Grocer closed about two years ago. There used to be an outstanding Thomas Dux right around the corner from here; it's now a different store, called About Life. Read my blog post, photo tour of About Life here. They say everything's bigger in Texas. Even the Whole Foods Market stores are bigger! We visited the Westchase store in Houston, Texas. What a huge, beautiful store and a real treat to explore the many expansive sections. A newer store layout, see our photo tour to survey what a large, newer Whole Foods Market store is like. Green Purse PR Founder & CEO, Lisa Mabe, wrote a new thought leadership article for the natural products industry now published on the New Hope Network's website. What store employees tell customers about products can help or hurt sales. Here are a few things that manufacturers can do to help create awareness and encourage brand advocacy among retail staff. We are currently recruiting participates for a unique and fun research project for a pharmaceutical company in the USA. Our shop-along study will aim to better understand how female migraine sufferers shop for products that offer migraine relief. We want to understand if this group typically reached for conventional over-the-counter drugs or prescriptions, homeopathic products, or other alternative forms of relief. Green Purse PR Founder & CEO, Lisa Mabe's, insights on connecting with health-conscious consumers are featured in the new issue of USA-based Shopper Marketing Magazine. It will be interesting to see how many more companies will have certified organic products on offer during the Gulfood trade show coming up in Dubai 21-25 February 2016. Our client, OBE Organic, will be exhibiting at Gulfood, and is one of the brands responding to increasing consumer demand for organic beef, as well as high quality beef from Australia that consumers there know and trust. Green Purse PR is happy to welcome JicaChips to its family of clients. JicaChips is a new line of healthy snacks made from the ancient root vegetable, jicama, from Central America. A great alternative to typical potato chips, JicaChips are non-GMO, gluten free, and come in a variety of unique flavors. Supermarket News just published a new thought leadership article by our Founder & CEO, Lisa Mabe-Konstantopoulos, offering tips on how retailers can better accommodate new moms' desire to shop for healthier products. Ever wonder why one bottle of olive oil gets picked over the other, or how to get new moms coming into your supermarket more frequently? Or what about the brands and retailers that seem to get all the engagement online; ever consider why those companies' social pages are resonating with shoppers more than others? MediaPost.com just published a new thought leadership article by our Founder & CEO, Lisa Mabe-Konstantopoulos, about first-time moms' tendency to shop healthy, and in many cases, convert to natural and organic products. Read the entire article on MediaPost.com here. MediaPost.com just published a thought leadership article by our Founder & CEO, Lisa Mabe-Konstantopoulos, about what female shoppers expect at the retail shelf. Read the entire article on MediaPost.com here, and gain more insight into Green Purse PR's shop-along research. We are excited to announce that Green Purse PR Founder & CEO, Lisa Mabe-Konstantopoulos, will be a speaker at the inaugural Healthy Retail Conference & Expo October 28-30 in Scottsdale, Arizona. Lisa's session, Exploring New Demographic Opportunities, will focus on marketing to millennial moms. The session takes place Thursday, October 29th from 3-3:30 PM at the Scottsdale Fairmont Princess Resort. MediaPost.com just published a thought leadership article by our Founder & CEO, Lisa Mabe-Konstantopoulos about why retailers should be shopping with the moms who shop in their stores. Read the entire article on MediaPost.com here, http://bit.ly/1GKLKxO.